So I finally got to visit Linear fisheries last week for 48 hours after our first trip was cancelled due to the carp spawning. Myself and Andy set off on the long trip to Linear from Bolton at 0630 on Tuesday morning and after a little delay on the M6 we arrived at Linear around 1030. 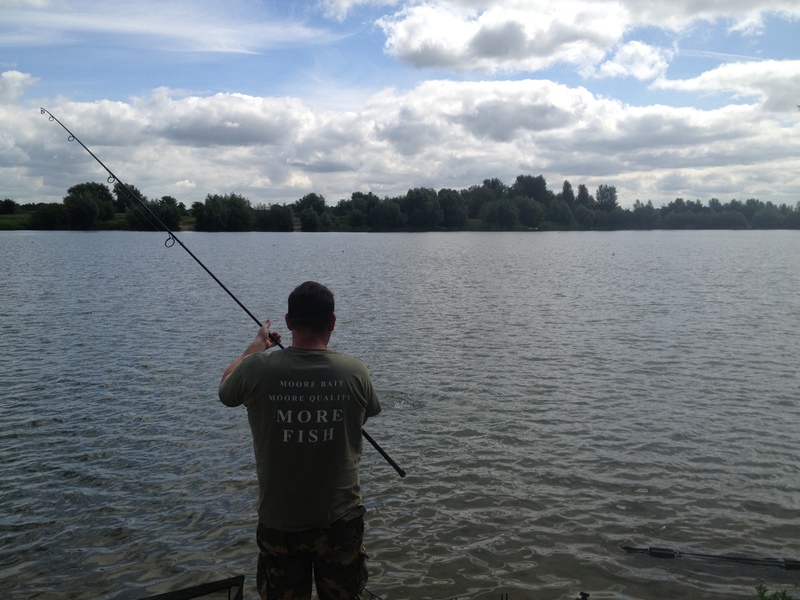 We had decided that we were going to fish over particle with PVA bags which meant that the best waters to target would be Brasenose one or two or Oxlease. After driving round the lakes we decided that Brasenose Two would be the best bet as we were after runs! The point swim which we really wanted was occupied but the two swims to the left were free so we decided that they were the ones for us. We unloaded our mountain of gear and set up our bivvys etc which was not the most pleasant of tasks due to the heat! It was around 23 degrees so plenty of water was called for. Spod mix was prepared then it was out with the marker rod. We found an area of smooth silt and gravel at 68 yards which was fishable from both swims so half a bucket of particle mix was spommed to the area and out went 4 rods with solid PVA bags. We both fished 2 rods and had one spare rod each clipped up and ready to be cast out. Well the day passed by without incident which if I am honest was a little disappointing and unexpected as there had been quite a bit of activity in front of us. At just before 4 the following morning the alarm sounded on my right hand rod and I was soon fighting my first Linear Carp. 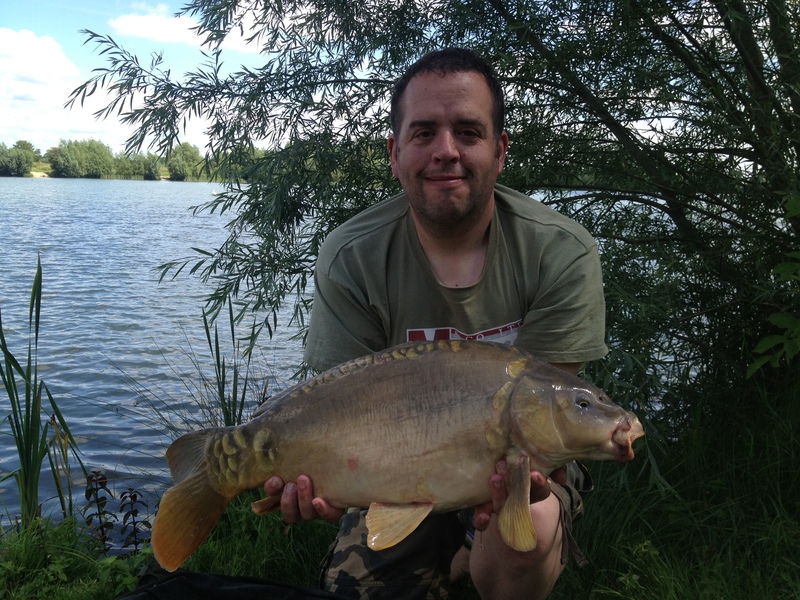 After a decent scrap I had a lovely upper double Mirror Carp in the net. After weighing and a quick photograph the carp was safely returned and it was time for a brew and bacon rolls. It was a couple of hours until I had another run but this signalled the start of a frantic few hours of runs, retying PVA bags so there was always a good stock of bags ready to go and clipping up spare rods. In those few hours we had 20 runs. I landed 7 and lost 3 whilst unfortunately Andy lost all but 3 of his due to cut offs on the savage bars even though we were using 20lb fluorocarbon leaders. The sport stopped mid afternoon and just before dinner we topped up the swim with a new batch of particle mix and celebrated the days fishing with pizza and red wine. We highly expected another mornings hectic sport but it was not to be and as always the time to pack away the rods and drive home came around quickly. I had a really good time even though I had to call out the AA due to a flat battery and we had lost more fish than we would have liked. Particle fishing is a method that I have very rarely used in the past but with Andy’s excellent guidance I think that I have a good understanding and would feel confident to use it again. 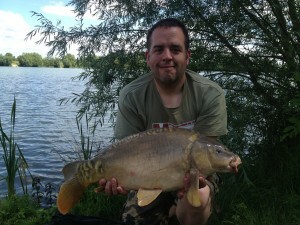 This entry was posted in carp and tagged carp, fishing, Richworth Linear.